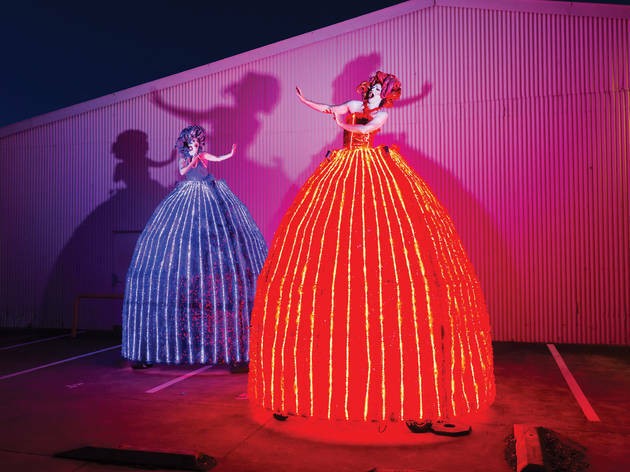 The Sirens are hard to miss: four-metre tall figures in glowing gowns made from flashing lights, and operatic vocals to beat the biggest divas, belting out soul, pop, jazz and rock. 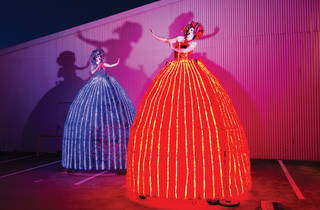 The performance group was conjured up for the Adelaide Fringe, as street theatre feature – but Sydney-siders will get a taste of the magic in April, as the divas brighten the Autumn twilight with a short free show on Thursdays, Fridays, Saturdays and Sundays. Head to the Harbourside Amphitheatre as the sun goes down to see the Instagram-ready divas in action; then grab a drink and/or meal nearby, there are over 25 restaurants at Harbourside to choose from. If you’d like extra bang for your buck, go on Saturday nights, and catch the free fireworks displays at Darling Harbour.